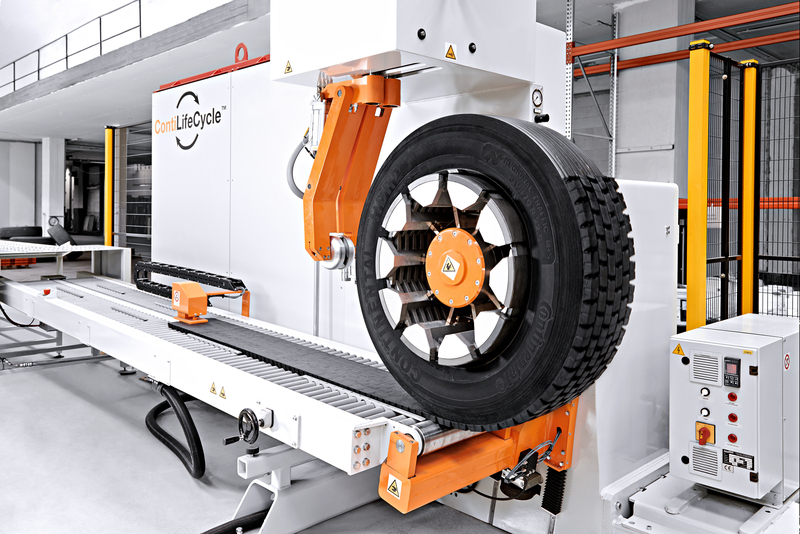 Continental has opened its ContiLifeCycle Plant in Hannover-Stöcken. The plant which is a world’s first integrates a cutting-edge facility for retreading bus and truck tires with a proprietary industry-scale rubber recycling unit. The technology developed by Continental was recognized as an environmental innovation by the German Federal Ministry of Environment. The topic of sustainability is being put high on the agenda for Continental Tyre SA (Pty) Ltd.
At Continental, experts from a wide variety of fields are working closely together in the research and development, testing and production sectors to make the tyre of the future even more energy efficient during the manufacturing, use and recycling stages of its lifecycle. In the process, they call into question every tyre component and where possible replace it with more environmentally compatible materials. The focus on greater sustainability also embraces the production process at Continental. Innovative technologies have been introduced at some of its plants to return waste rubber to the production cycle, enabling rubber from end-of-life truck tyres to be reutilised during retreading, and the production of new tyres. A targeted recycling volume of 4 000 tons a year at the ContiLifeCycle plant in Hanover, Germany, translates into a total annual saving of around 2 400 tons of rubber and 1 600 tons of filler materials such as carbon black and silica. The simultaneous introduction of optimised production methods also ensures that the proportion of recycled materials used in a new tyre can almost be doubled, making for even more efficient use of resources. The latest product to join the Continental line-up is a special tyre developed for hybrid vehicles. The new 17 and 18-inch Conti.eContact boasts a 30 percent drop in rolling resistance compared to a standard tyre, yet achieves comparable dry road handling and braking. This increases the distance that can be travelled in electric mode and reduces the reliance on the internal combustion engine. As an official sponsor of the 2014 FIFA World Cup™ in Brazil Continental presented the latest car tire generations at the proving ground Contidrom located in the north of the headquarter Hanover. The highlight was the new Conti.eContact which was developed especially for hybrid vehicles. This new addition to the range made its debut in July 2014, and is the first summer tyre from Continental to be awarded top A/A grades for both wet grip and rolling resistance based on the new EU tyre label system. It marks a noteworthy addition to the award-winning Conti.eContact range, originally launched in 2011 specifically for electric vehicles. 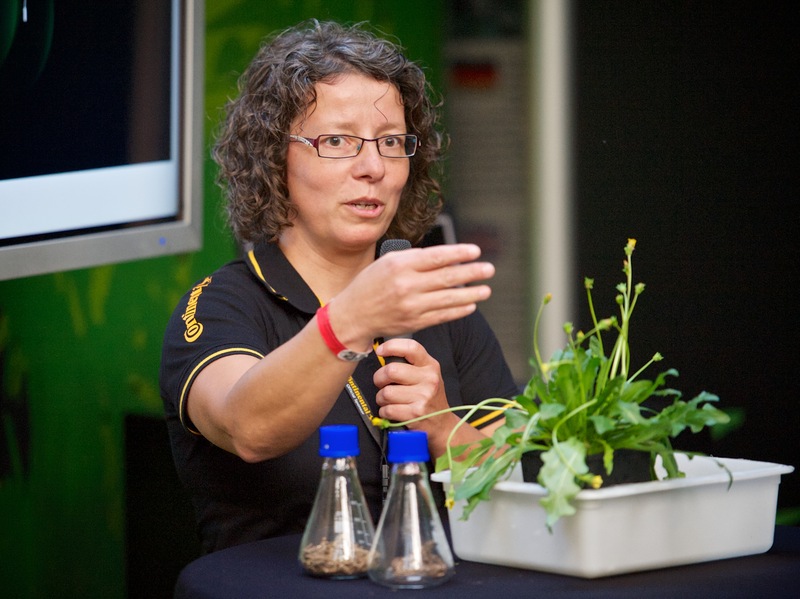 A fascinating breakthrough development in Continental’s sustainability research and development is the “dandelion tyre”. 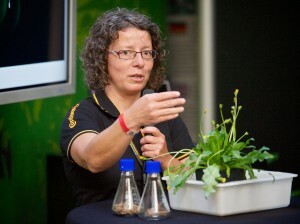 The company has joined forces with the Fraunhofer Institute for Molecular Biology and Applied Ecology in Germany with the objective of using natural latex obtained from the roots of the dandelion as a commercially viable substitute for natural latex from rainforest plantations. Dandelions can be cultivated on land that is unsuitable for food crops, thus making it possible to create plantations adjacent to tyre manufacturing plants – with subsequent economic and ecological benefits. Most notably, it would reduce the dependence on rubber trees in rainforest regions which account for between 10 and 30 percent of the rubber in a car tyre, and an even higher proportion on truck tyres. In February 2014, Tire Technology International magazine named Continental “Tire Manufacturer of the Year” in honour of its dedication to tyre development at all levels, and particularly its used tyre recycling processes.